Oh, the gay bar. Non-stop fabulous. 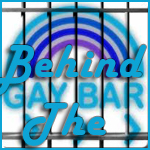 If you didn’t know already, straight guys, gay bars used to be the place to go with your straight girlfriends so that they wouldn’t get hit on ten thousand times by janky dudes. Sure, the drinks are a little more colorful and there’s a faint odor of man-sweat in every corner of the room. But it was a small price to pay for the freedom to know that, although you would probably get groped a few times yourself by would-be Latin lovers, your ladies would not be bothered. Until the Armenians found out. And the Persians. Ohhhhh the Armenians and Persians. Let me qualify this by saying a couple of my dearest friends are Armenian, and I know a couple of really nice Persians as well. The rest of you need to learn how not to act like testosterone crazed a-holes. And I would also appreciate it if you could stop haunting gay bars like a pack of hungry wolves, except wolves who are hungry to take a lady’s clothes off.